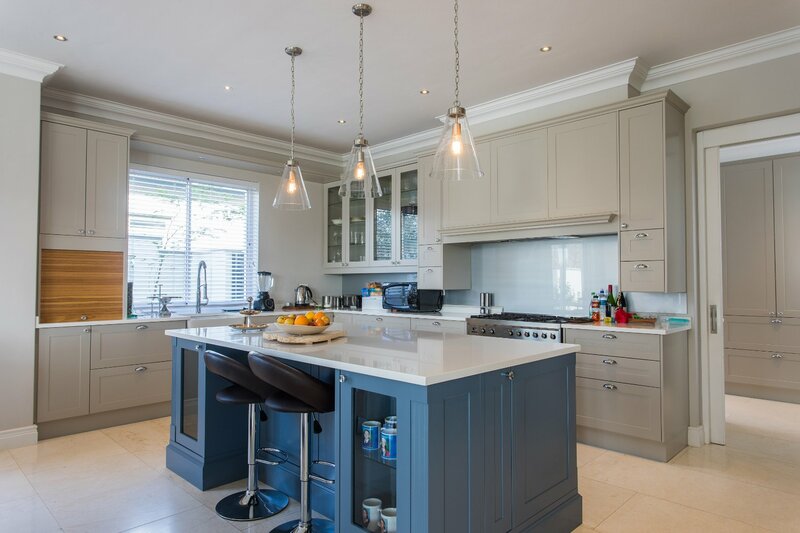 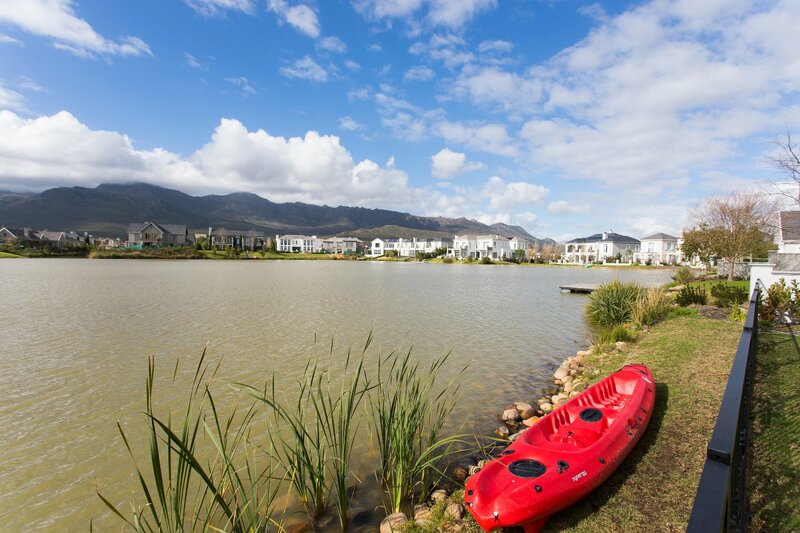 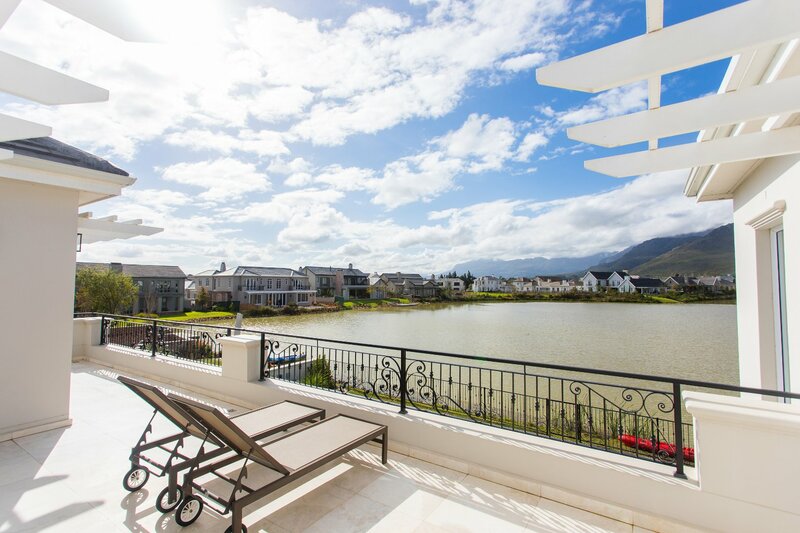 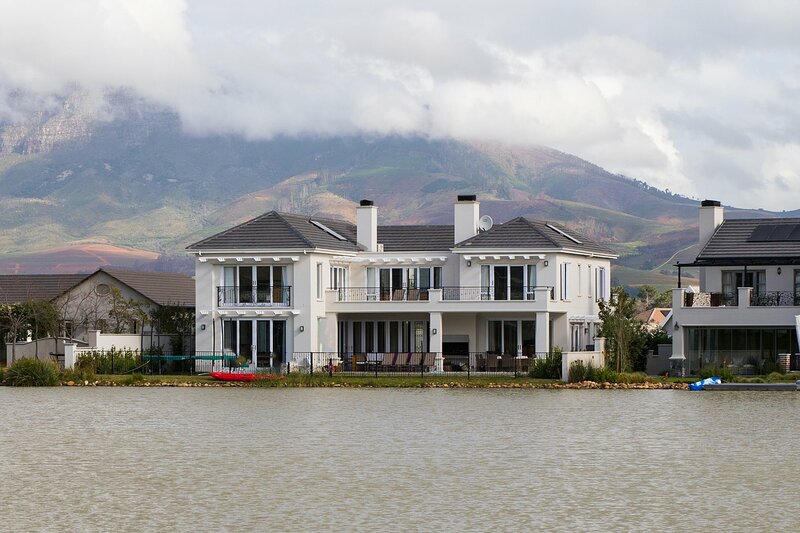 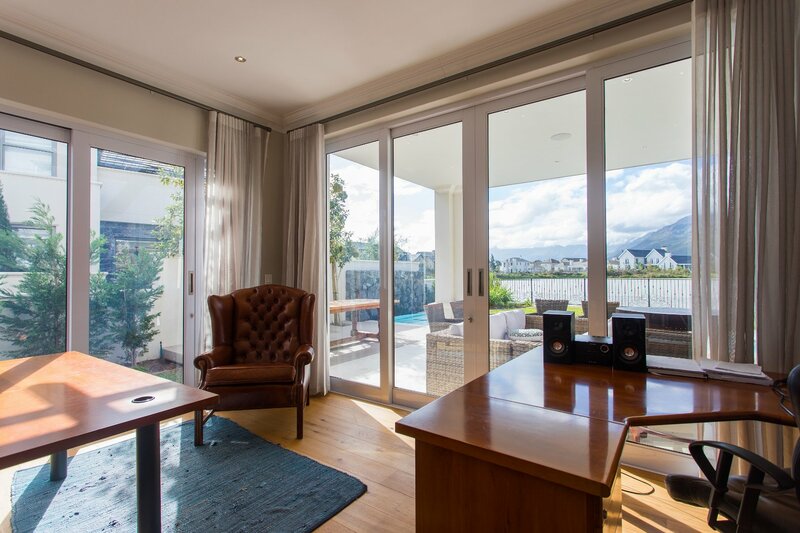 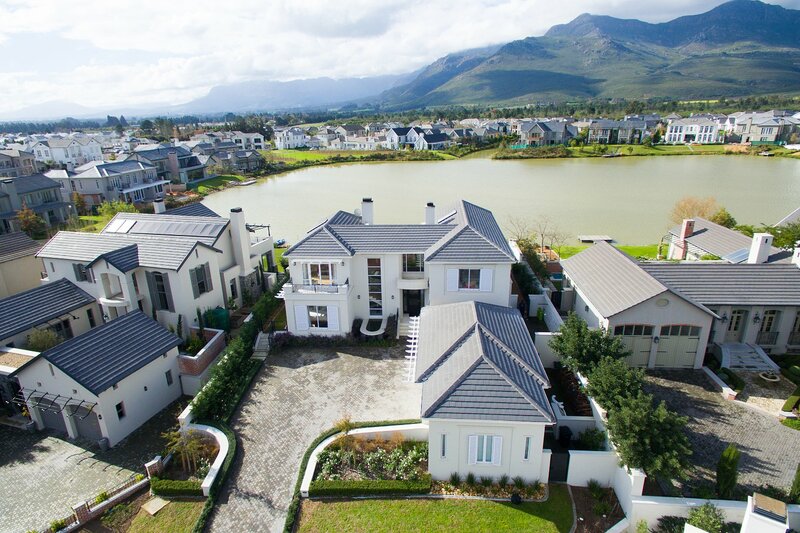 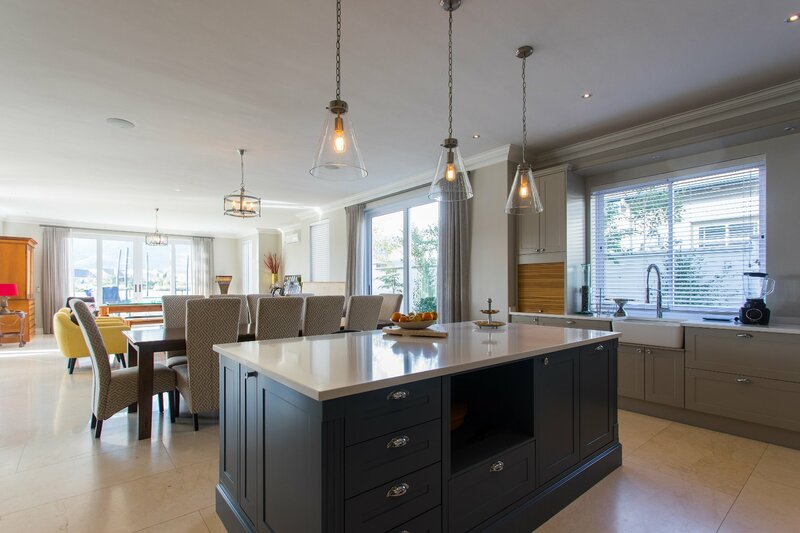 Set in a spectacular location overlooking the lakes with awe-inspiring mountain views, this property offers a modern lifestyle with easy flow open plan living. 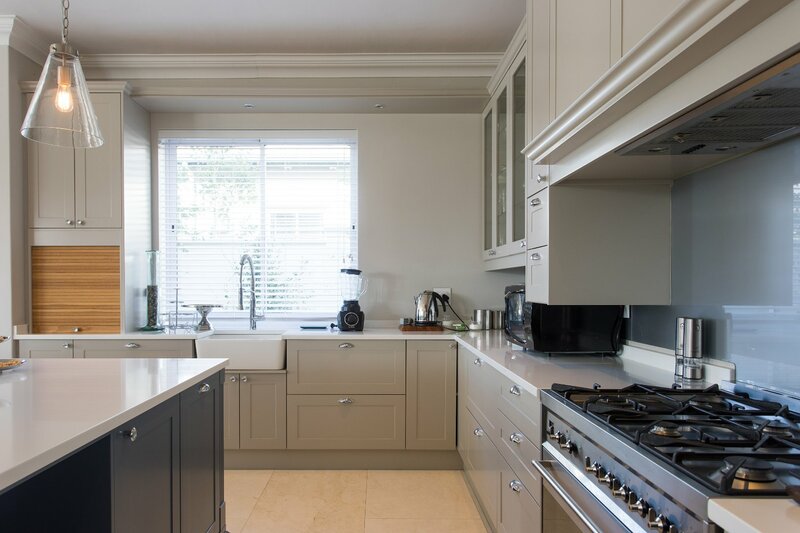 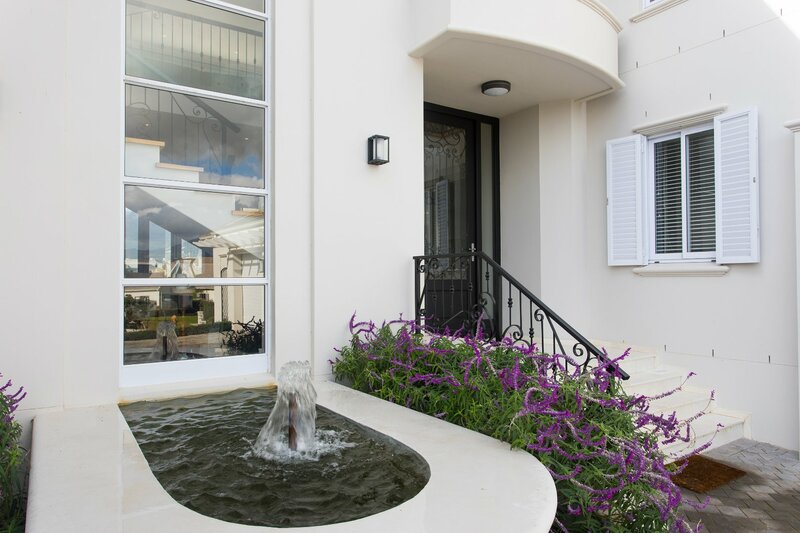 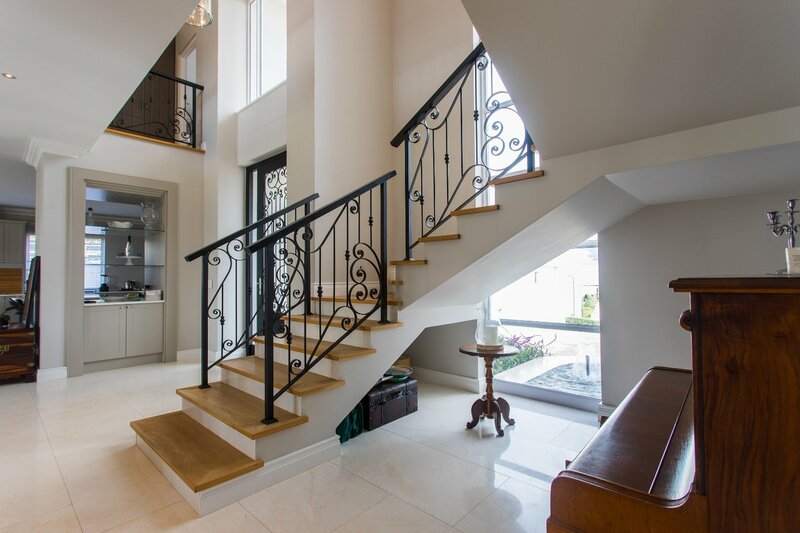 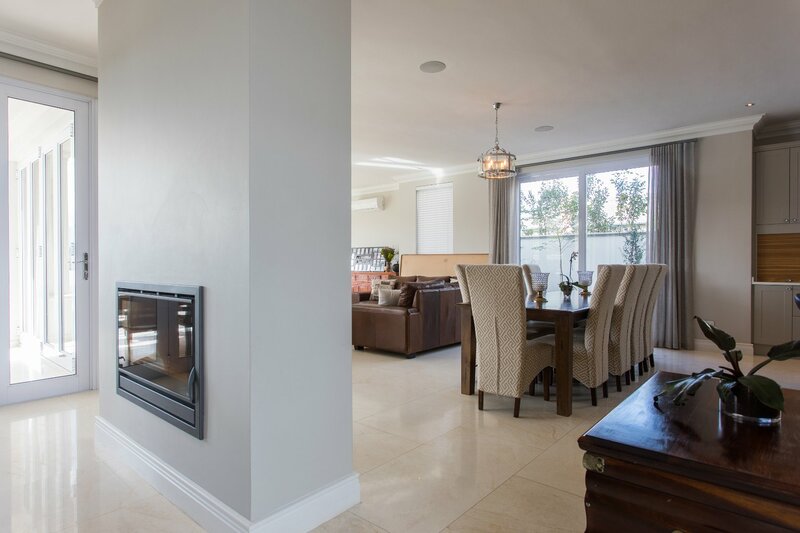 Enter into a double volume entrance hall which leads to spacious living areas and a superb gourmet kitchen. 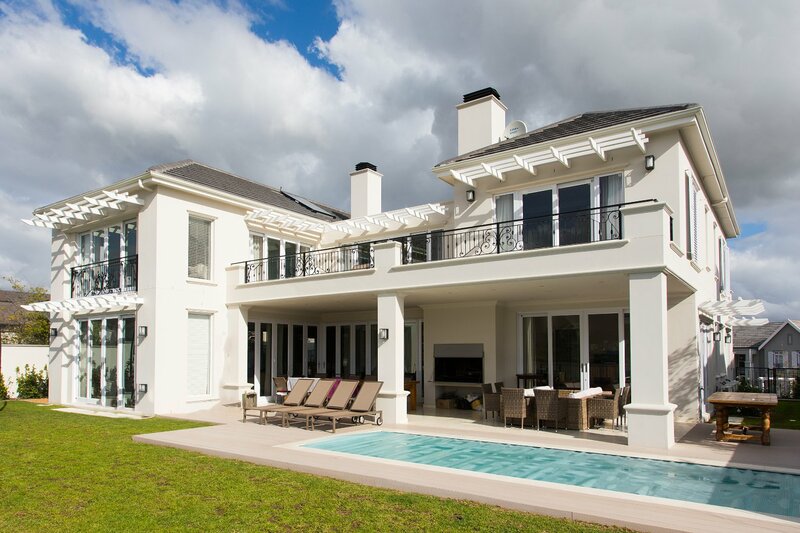 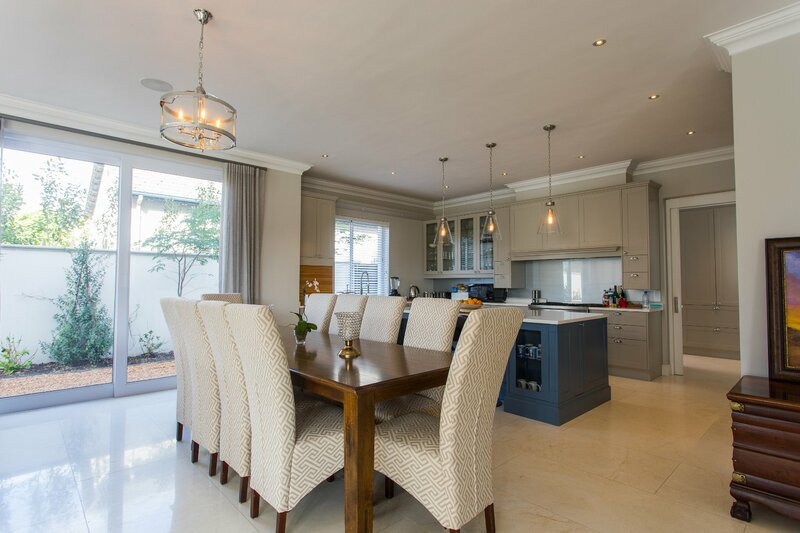 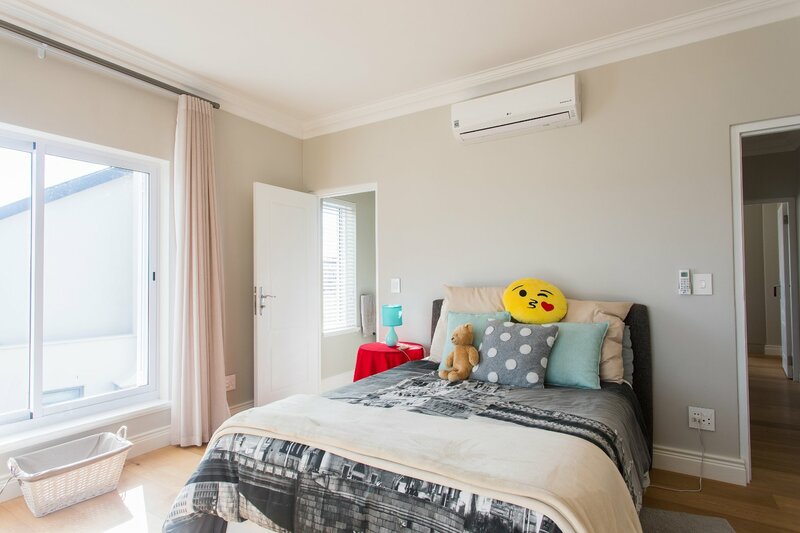 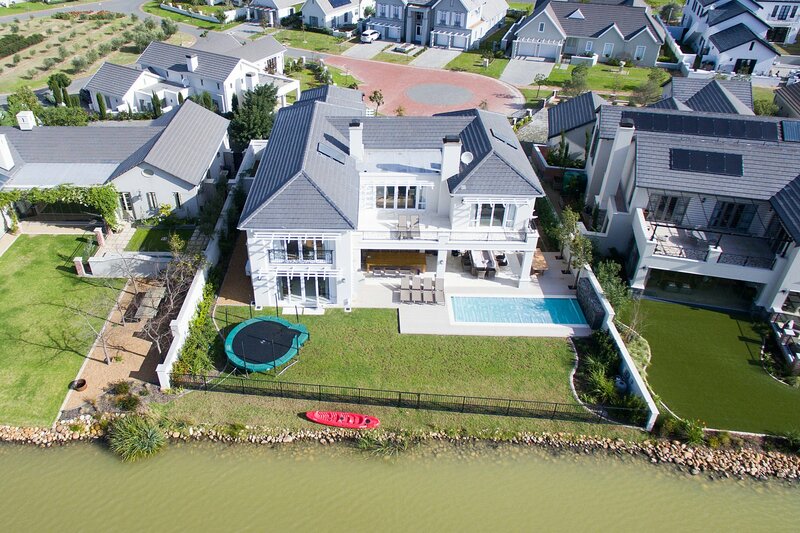 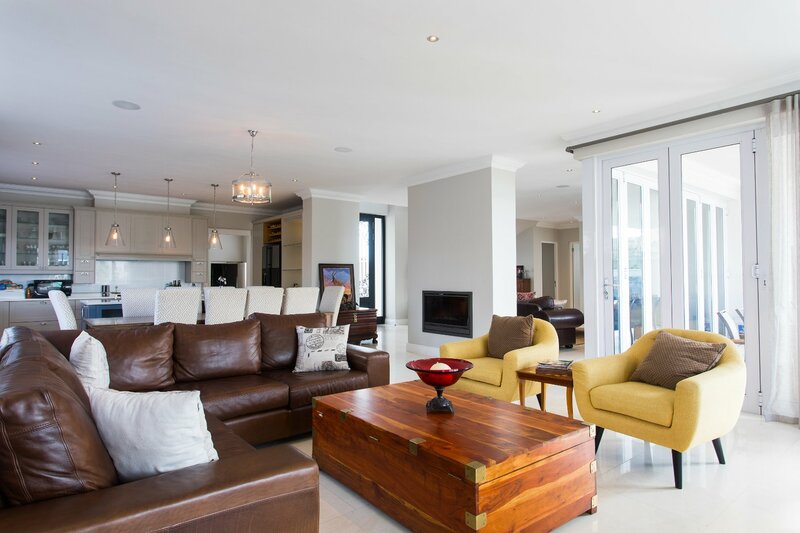 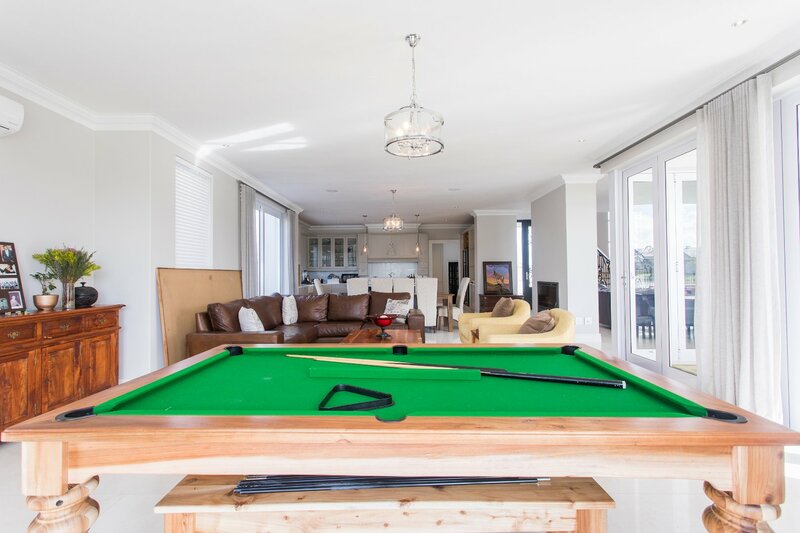 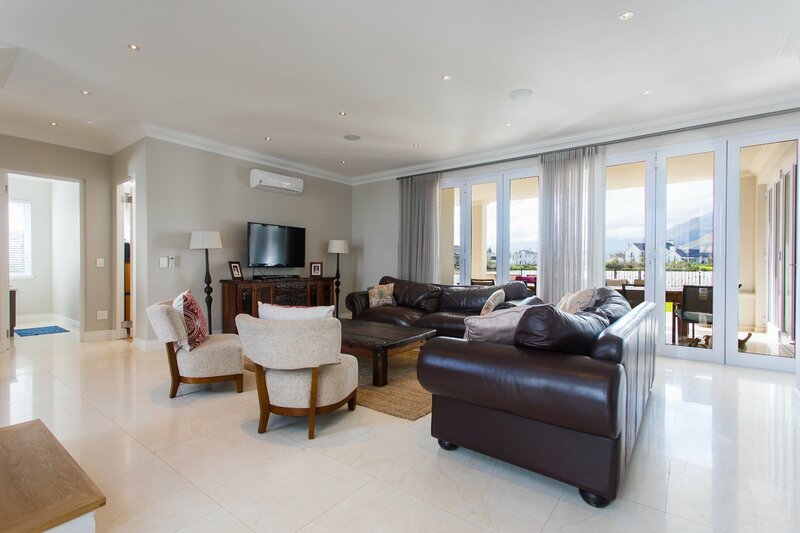 Live and enjoy the extensive entertainment room which opens out to a sun filled patio with built-in braai and a lovely blue pool. 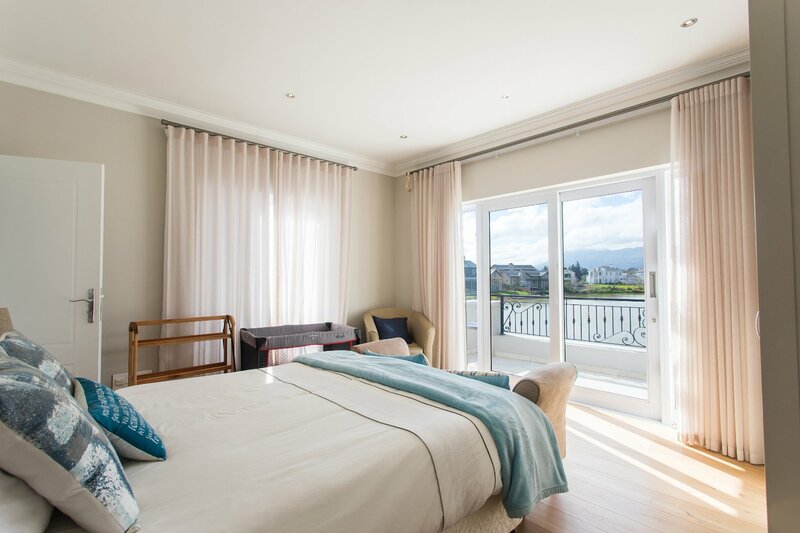 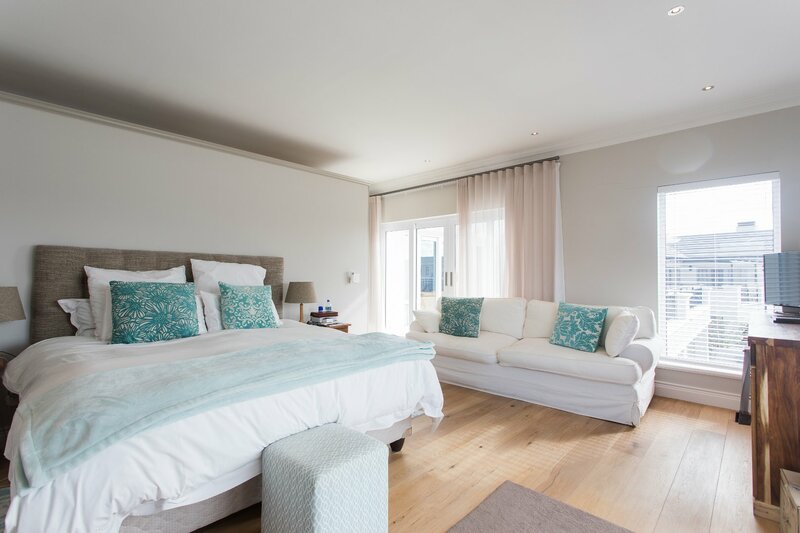 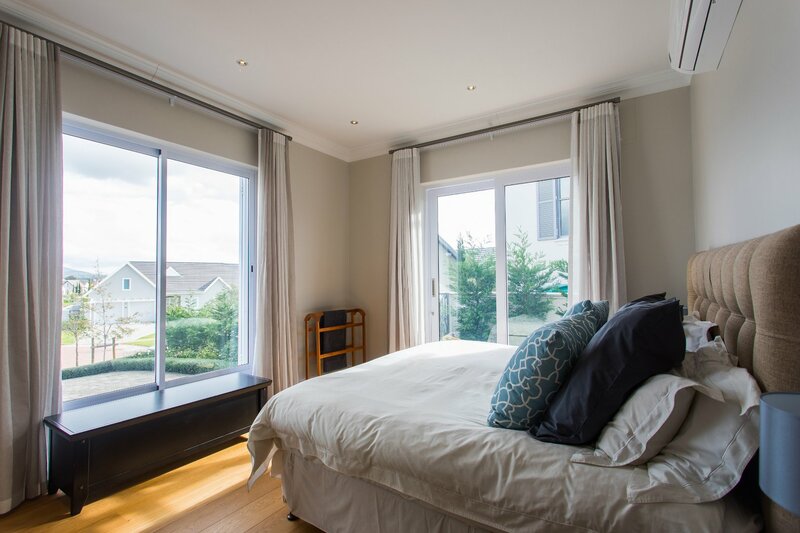 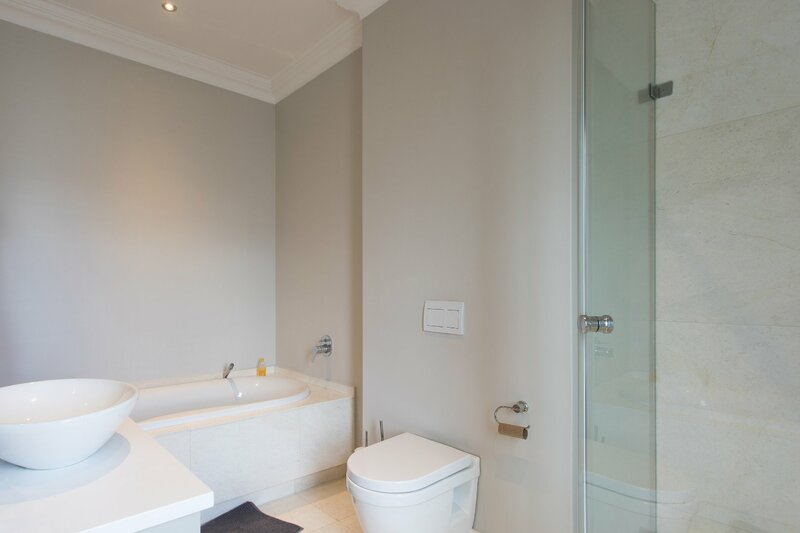 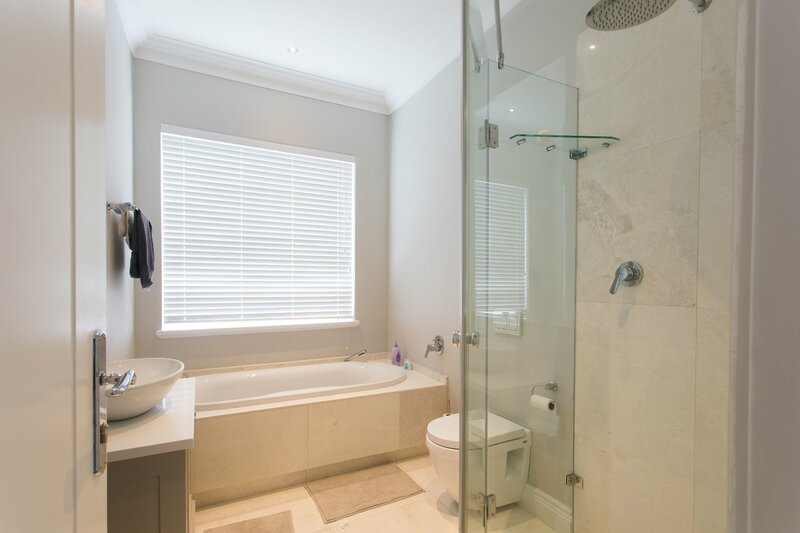 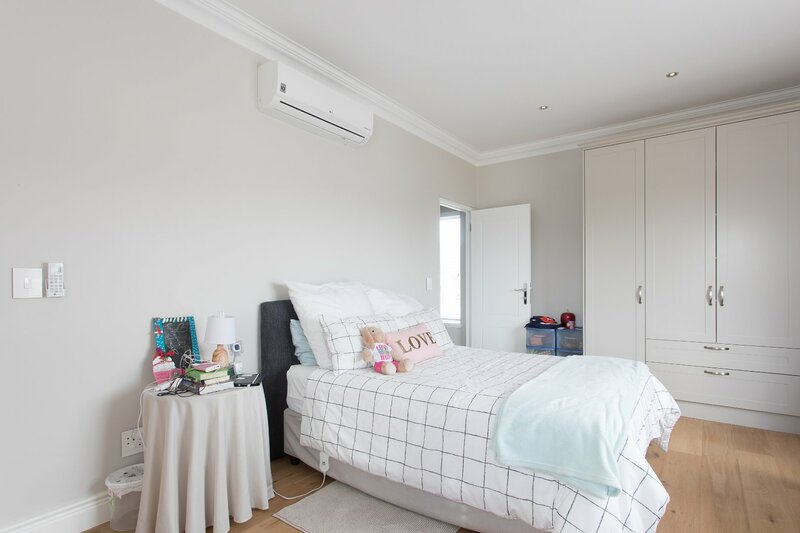 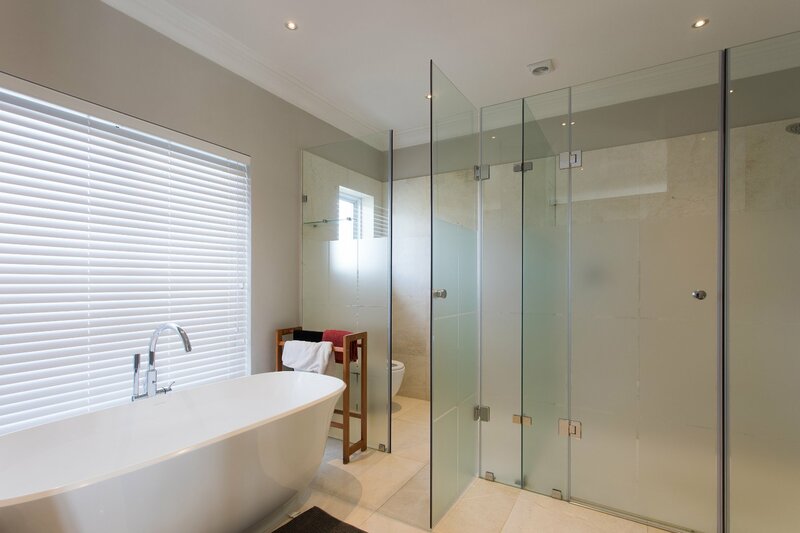 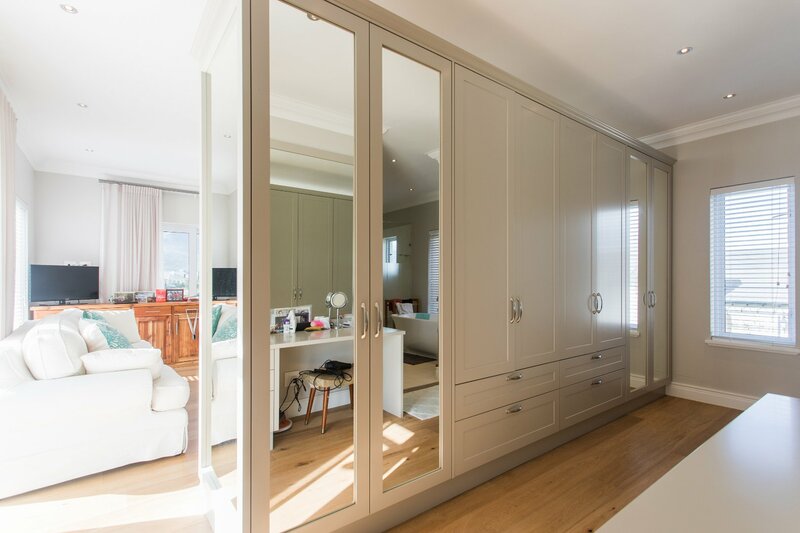 On the upstairs level there is the master bedroom with en-suite bathroom and 3 other bedrooms each with their own bathroom and balcony overlooking spectacular views and finished off with gorgeous oak laminate flooring. 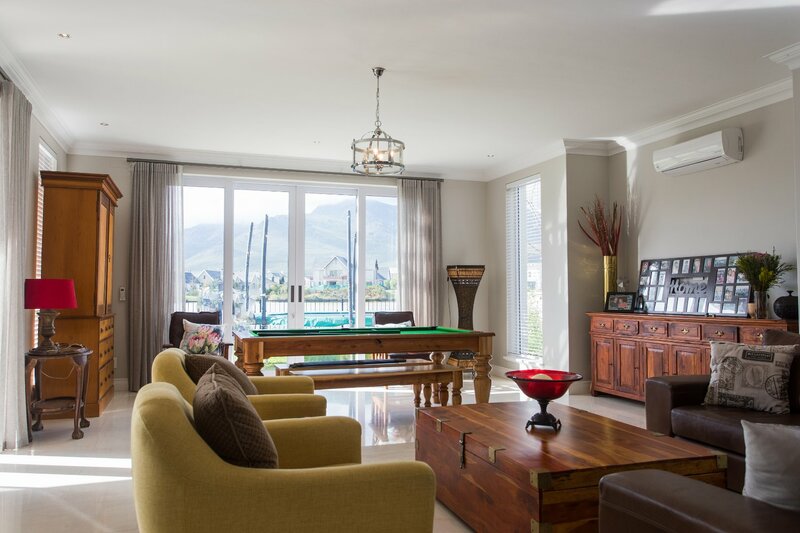 There is also an additional lounge area with TV and a balcony overlooking the lake. 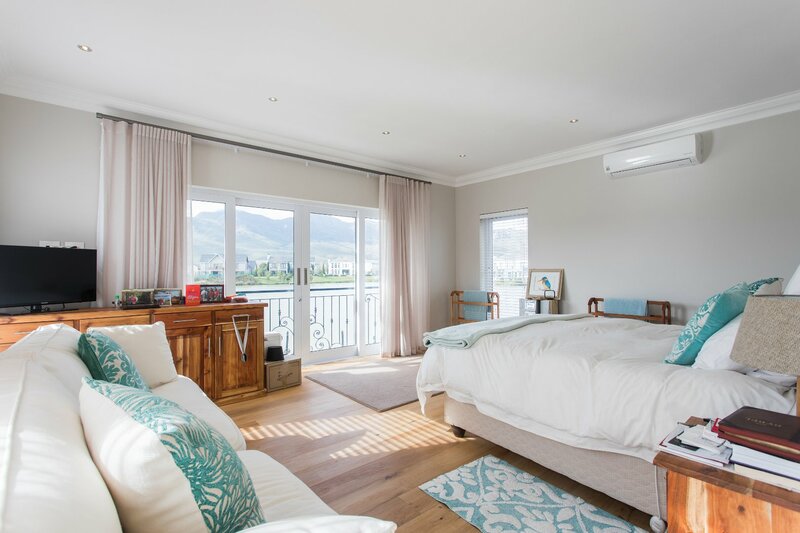 The lower level includes a 5th bedroom with en-suite bathroom, a study, guest toilet and staff quarters with bathroom and kitchenette. 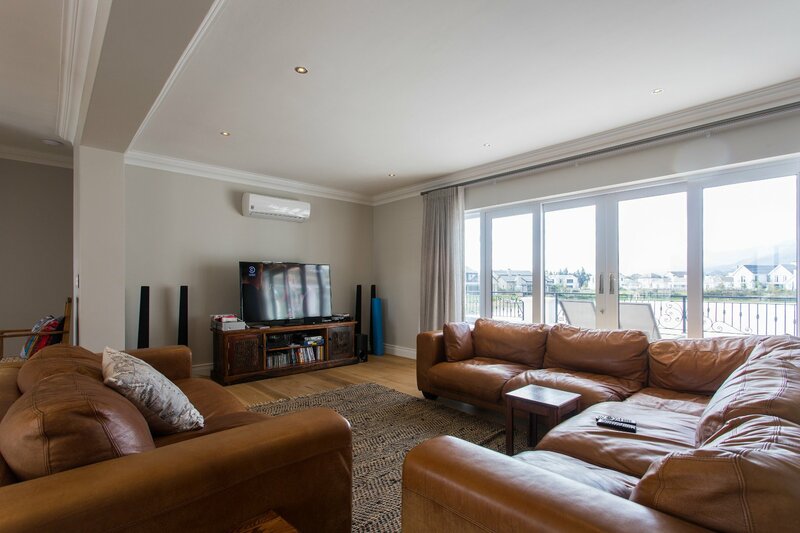 Other features include split unit air-conditioners throughout, surround sound system, fully irrigated garden and a bonus of three garages. 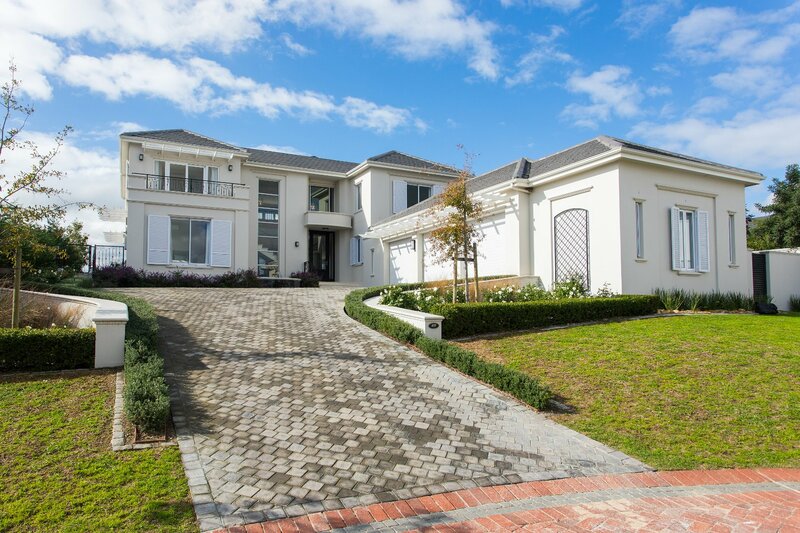 This home is perfect for the needs of an extended family.